Filamentstyle design lighting introduces a refined design concept. Clean lines and a minimalist design provide a clean and simple effect, beautiful in contrast with the sometimes playful colors (in addition to the stylish black, gold and copper). 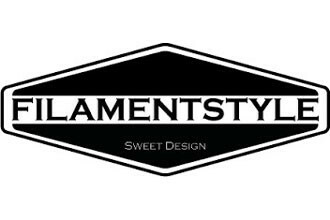 Filamentstyle was established by the Luxembourg designer Laurent Maré. Its design lamps are handmade and combine an industrial look with a sense of vintage and retro design.